The Charlene Day Bed is simply a wonderful addition to a small space - provides seating during the day and transforms to a bed in the evening. Made with strong metal frame, decorative curves and slatted base. The Charlene Day Bed is available to order in beech or white and with a pull out guest bed! Mattress sold separately. This style bed is also available to order as a standard double & single bed. We offer an assembly service for €50 - please ask in the comments when ordering or call us on 064 669 1112. Please note special orders can take up to 2-3 weeks – Terms & Conditions Apply. The Sandy 3' Day Bed is the perfect single bed turned sofa ideal for a teenagers room! 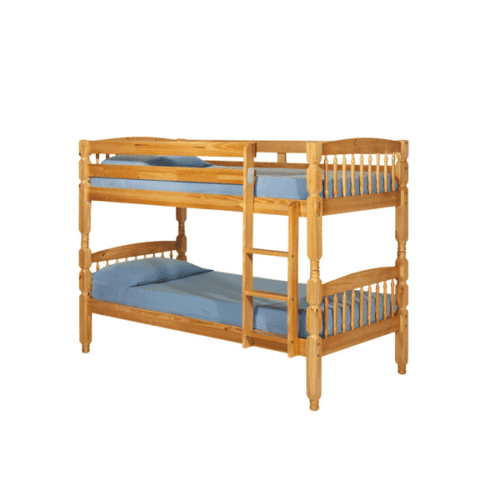 It is available in Beech or White and requires a 3ft mattress. Mattress sold separately. Pull out bed also available. Also available as a standard single & double bed. We offer an assembly service for €50 - please ask in the comments when ordering or call us on 064 669 1112. Please note special orders can take up to 2-3 weeks – Terms & Conditions Apply. The Lorraine Day Bed is the perfect single bed turned sofa ideal for a teenagers room! It has a cream metal finish and requires a 3ft mattress. Mattress sold separately. We offer an assembly service for €50 - please ask in the comments when ordering or call us on 064 669 1112. Please note special orders can take up to 2-3 weeks – Terms & Conditions Apply. The Como 3ft Folding Bed is perfect when expecting some guests! With its sturdy tubular steel frame and plywood slatted base the Como easily folds for convenient storage. The bed can be easily transported to any room with its castor wheels. 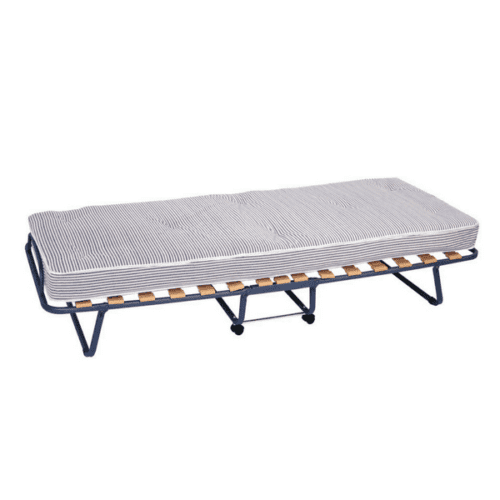 The bed includes a high quality 12cm sprung foam mattress. Please note special orders can take up to 2-3 weeks – Terms & Conditions Apply.